It’s been a long time since our last post, but we have been busy. We are sold out of most of our Mountain Colors Bearfoot yarn. We just placed a large order, and should be fully restocked in about 2 months. Since this is hand dyed yarn, it takes a while, but it is worth the wait. Also, the Absolutely Fabulous Afghan Kits are sold out. If you are looking for one, email us, and we can special order any color for you. As always, on these kits, special orders get the sales price, if we are offering a store wide sale. Our sales and coupon codes are listed on our specials page. Check out our Knit One Crochet Too Pound Cake Kits. These kits are wonderful. They are half the price of the Absolutely Fabulous Afghan Kits, and just as nice in my opinion. This week, we will be placing our first order with Mission Falls Yarns. We will stock their great cotton yarn, and later add the wool yarn. We are working on getting all of our yarns and pictures on the website. Hopefully next week, our Jamieson’s yarn will make it on our website. Finally, here’s our latest edition to the Vintage Knits Wool Shoppe LLC family. Click the image for a larger view of my fur kid. 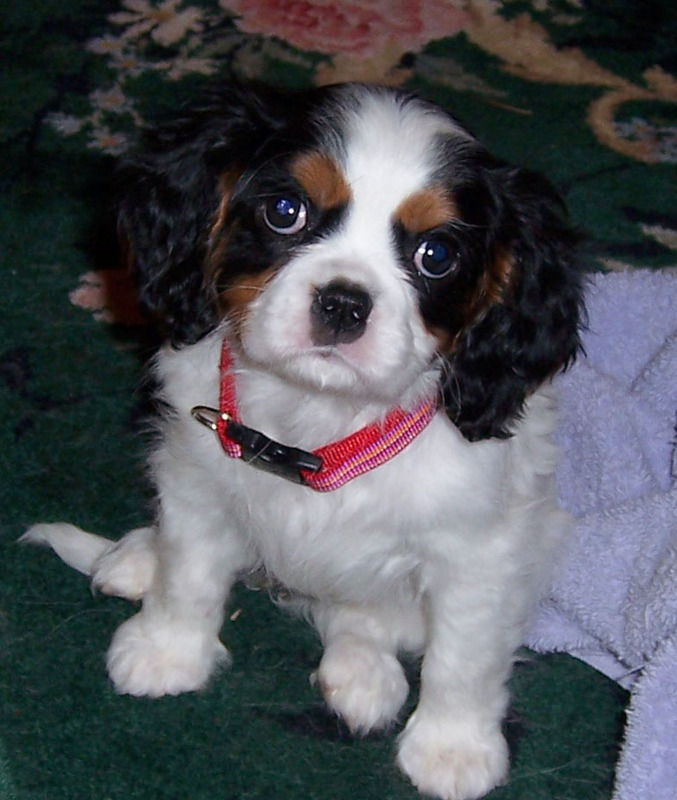 Her name is Sasha, she is a Cavalier King Charles Spaniel puppy, and up to all sorts of mischief. More on that to come….